Fraserburgh harbour is constituted as a trust port which has a focus on stimulating local economic activity. The north east port has a track history in providing services to the fishing, oil and gas, ship repair and commercial sectors. In order to support the fishing industry Fraserburgh Harbour operates around the clock seven days a week meaning support services can quickly react. Although the local fishing fleet has undergone significant restructuring over recent years Fraserburgh Harbour remains a busy port. The Commissioners recognise that the reduction in traffic offers the opportunity to capture new activities including offshore wind. In addition to vessel berthing and land based facilities Fraserburgh boasts two ship repair facilities, namely the dry dock and shiplift, which are widely used both by local and visiting vessels from all over Europe and from various sectors to acccess the ship and marine servicing and repair expertise both from the port and local supply chain companies. Internet connectivity and electrical hook ups are available with office and welfare facilites offered for users. 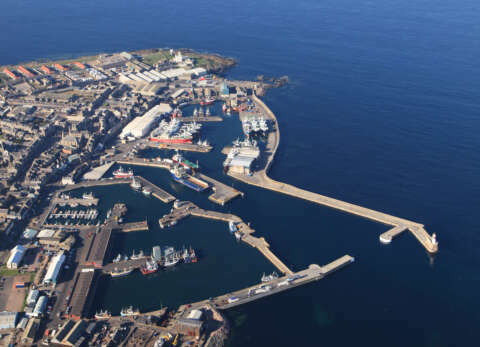 Fraserburgh Harbour has an MoU in place with MORL as part of the process to develop operations and maintenance facilities for the proposed wind farm in the Moray Firth. 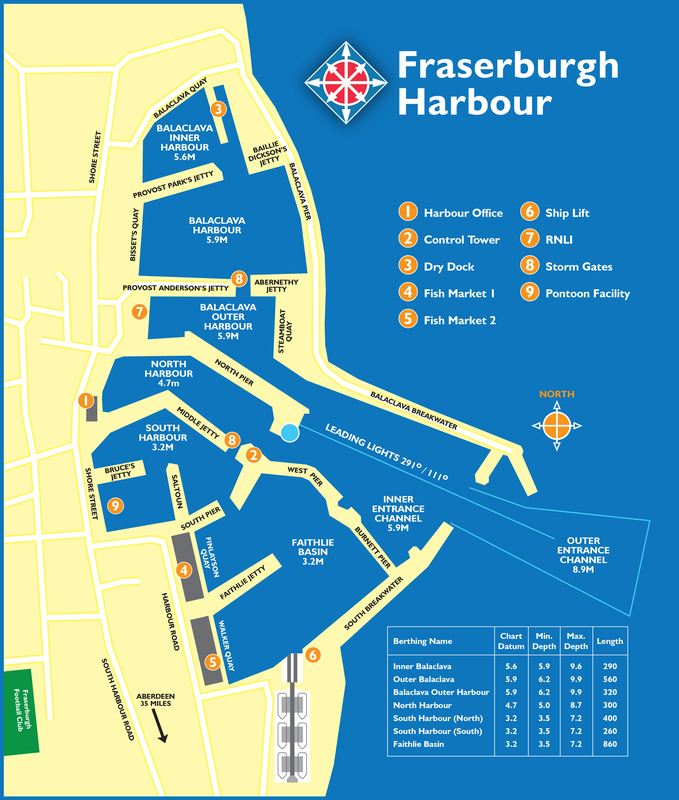 There is an extensive local supply chain (http://www.fraserburgh-harbour.co.uk/business-directory) providing excellent support services including stevedoring, bunkering, waste oil disposal, quayside services. Heavy lifts can be accommodated within the port by local stevedoring companies utilising mobile cranes of up to 500 tonnes . No information has been provided for the heaviest lift that has been accommodated in Fraserburgh as this is dependent on a number of factors. The Harbour Superintendent would be happy to discuss this further with interested parties. The port also operates a pilot boat for services including crew changes. Ship repair facilities include a 6 berth shiplift which can accommodate vessels of length 36m, beam 10.5m up to 850 tonnes and a dry dock which can accommodate vessels of length 66m and 14m beam.